Barcelona will play their 17th match of this edition of LaLiga against Celta Vigo on 22 December Saturday. Barcelona is at the first position of this La Liga table while Celta Vigo is at the ninth position. Match Date and Day: 22nd December, Saturday. Match Time: 18:30 Local Time. Match Venue: Camp Nou, Barcelona, Spain. Head to Head: Both teams have played a total of 19 games against each other, out of which Barcelona has won 11 games, Celta Vigo has won a total of 4 games and rest ended in a draw. 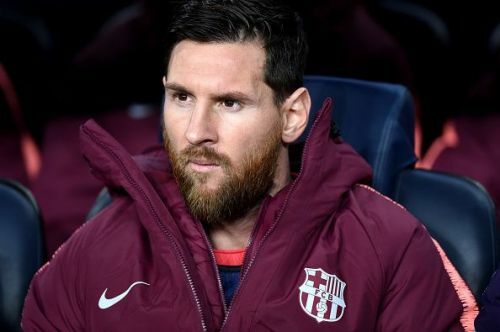 Barcelona played their last game of this season against Levante which they won 5-0 and will be looking for another victory when they face Celta Vigo. Lionel Messi scored a hattrick in that game and along with him both Luis Suarez and Gerard Pique also scored a goal. Predicted Starting Lineup: Marc-Andre Ter Stegen (GK), Lionel Messi (C), Clement Lenglet, Gerard Pique, Thomas Vermaelen, Jordi Alba, Arturo Vidal, Sergio Busquets, Ivan Rakitic, Ousmane Dembele, and Luis Suarez. Celta Vigo played their last La Liga game against Leganes which ended in a draw, they will also look for a win over the defending La Liga champions Barca. Predicted Starting Lineup: Ruben Blanco (GK), Hugo Mallo (C), David Costas, Nestor Araujo, David Junca, Sofiane Boufal, Brais Mendez, Okay Yokuslu, Jozabed, Maxi Gomez, and Iago Aspas. Defender: Gerard Pique, Clement Lenglet, Hugo Mallo, and David Costas. MidFielder: Sergio Busquets, Ivan Rakitic, and Okay Yokuslu. Striker: Maxi Gomez, Luis Suarez (VC) and Lionel Messi (C). Defender: Gerard Pique, Clement Lenglet, and Nestor Araujo. MidFielder: Sergio Busquets, Ivan Rakitic (VC), Okay Yokuslu, and Arturo Vidal. Striker: Maxi Gomez, Luis Suarez, and Lionel Messi (C). Luis Suarez, Lionel Messi, Sergio Busquets, Ivan Rakitic, Maxi Gomez, Nestor Araujo, Okay Yokuslu, Gerard Pique, and Hugo Mallo.